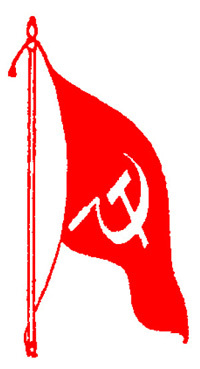 Rayagada/ Bolangir: The Maoists threatening people to boycott Republic Day celebrations, on Tuesday hoisted black flags in several places in Bolangir district and torched vehicle engaged in road construction work at Rayagada district. 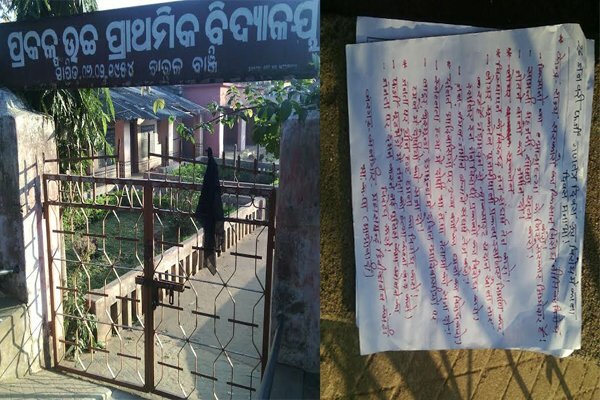 The ultras unfurled black flags on school premises in Chaulabngi in Khaphrakhol block in Bolangir district leaving mao posters and pamphlets appealing public to boycott the Republic Day, said sources. Meanwhile, Maoists torched a JCB machine and a tractor engaged in road construction work at Dalianuji village under Muniguda Police Station in Rayagada district late Monday night. 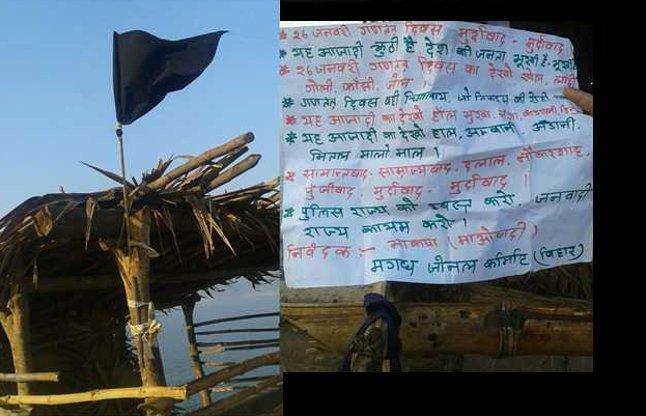 Leaving behind Maoists poster and red flags, they appealed the locals to observe the republic day as a black day. Their intent is clear as they look to boycott the republic day after the encounter of two Maoist leader Sushil & his wife a day before on the border area of Angul & Deogarh. The Police have launched combing operation in the area and have recovered the warning posters.